World class waves at a well-known destination. Winter is the best season for the big, fast waves. 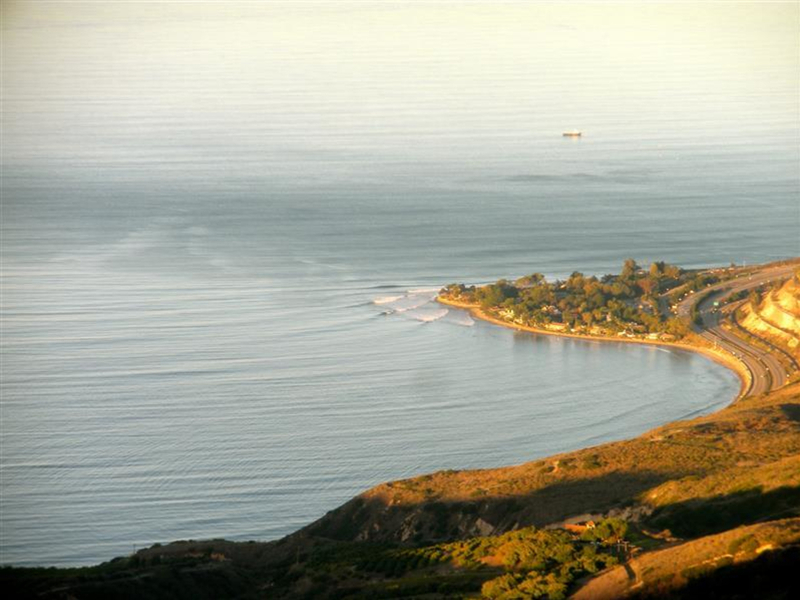 Rincon is a world class right point break located on the Santa Barbara-Ventura County line just south of Carpentaria. The Channel Islands to the south block most of the surf so that Rincon usually remains flat and fairly small, but winter north swells have been known to bring large waves with long rides. Though it is not the most consistent wave, Rincon still manages to draw a large crowd most times of the year. When Rincon is firing, expect to get dropped-in on, but also expect one of the best rides in California. 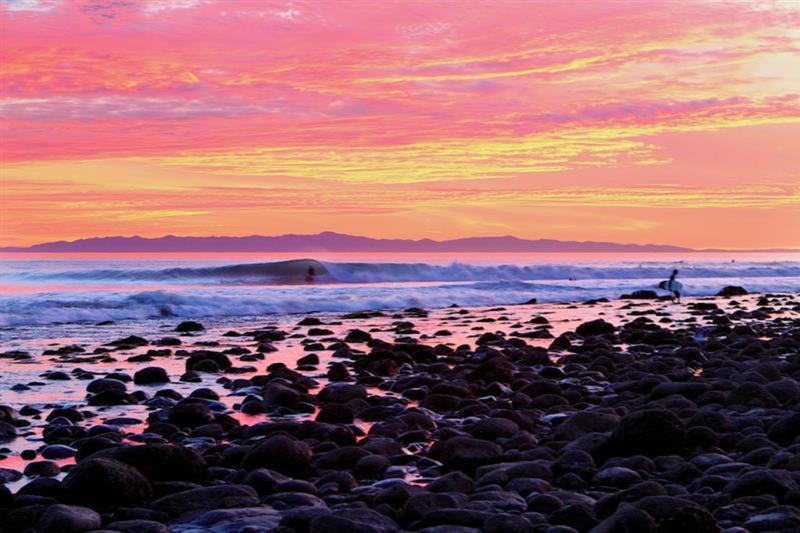 The break is one of California’s most famous for a reason. 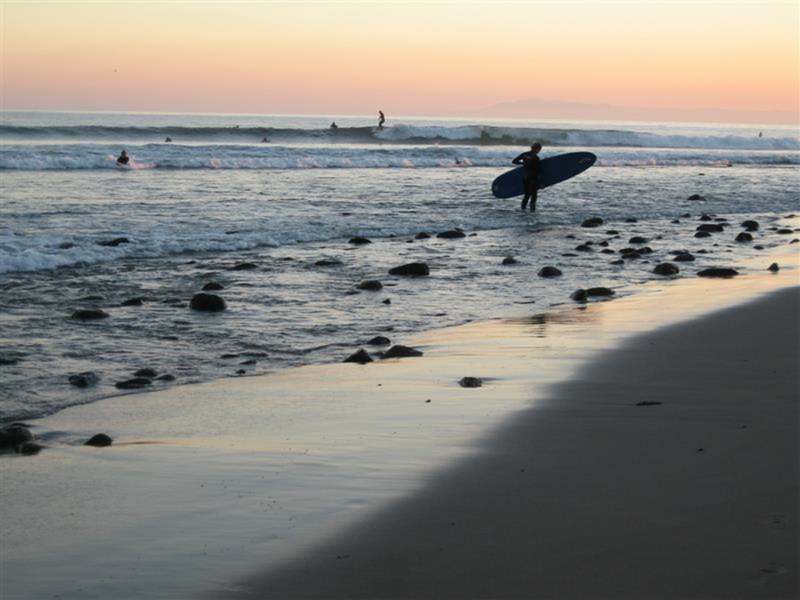 It is mentioned in the Beach Boy’s song “Surfin’ Safari”, home to events such as the Rincon Classic, and frequented by professional surfers such as Kelly Slater and Tom Curren. This wave is good for beginners, but during a good swell novices should be advised to find a different break due to Rincon’s large and sometimes aggressive crowd. If you are confident in your surfing ability, battling the crowd will be worth it for a few great rides. There is ample, free parking at Rincon.